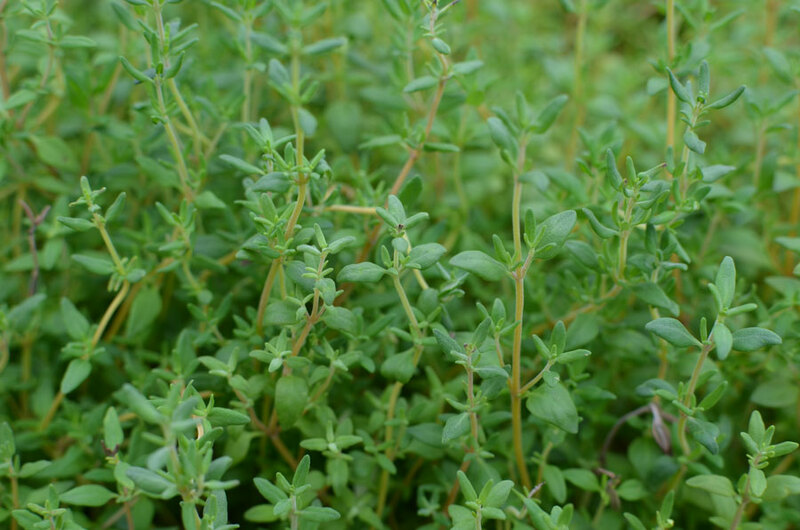 Thyme grows trouble-free in an herb garden, along a pathway, or in a container. 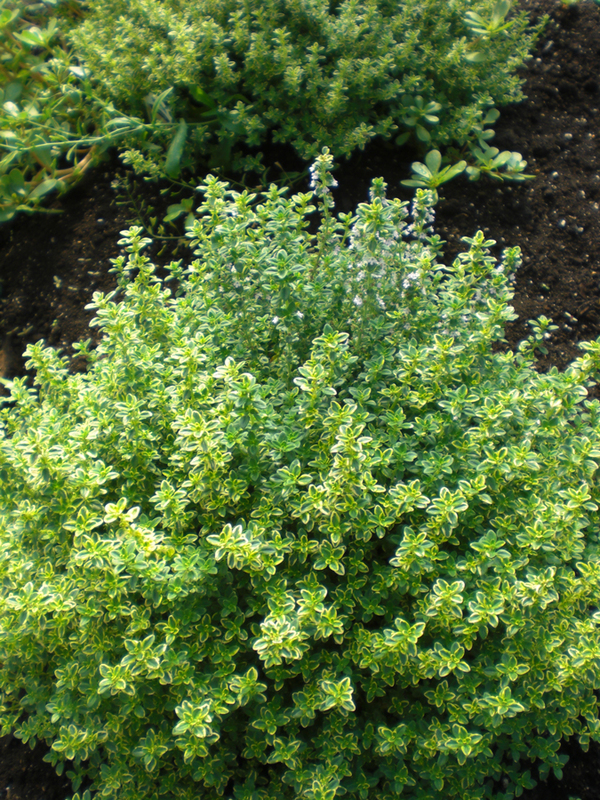 A garden bed needs no special preparation before planting thyme as it grows fine in average soil. 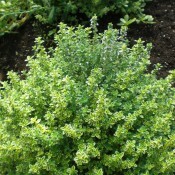 Thyme grows to a low bushy mound of small, dark green leaves with attractive pink to purple flowers in midsummer. 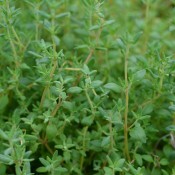 Thyme is highly aromatic and pleasant tasting. 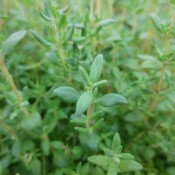 It is a favourite in Italian and French recipes; adds zest to stews, soups, and meats. Thyme repels cabbage moths making it an excellent companion to Brassicas (i.e. broccoli, cabbage, kale, etc.). It is also known to improve the flavour of strawberries. Cut leafy stems as needed during the growing season. In early summer, just before the plant blooms, make a full harvest by shearing the plant 2 inches (5cm) above ground level. 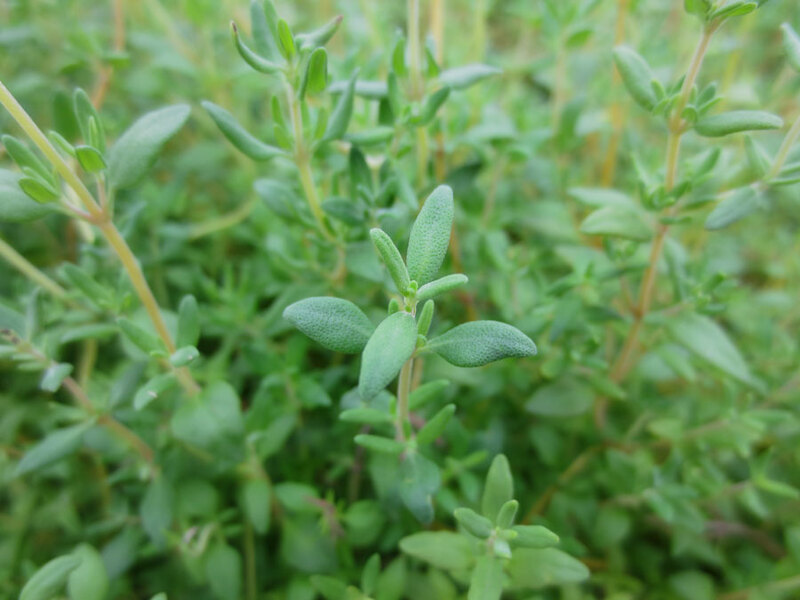 The plant will re-sprout and can be cut again in the same manner in late summer. After a full harvest, gather stems in a bunch and put them in a paper bag, tip end down. Hang them to dry in a warm place with good air circulation. Strip dried leaves from the stems. Store the leaves in an airtight container.